Are you ﻿going ﻿to SoFlo? Us too! Shipping can be costly, and can easily exceed $20 when ordering multiple stands. Then there's waiting for the mailman to come! Save money on shipping & handling, and avoid the expo lines. 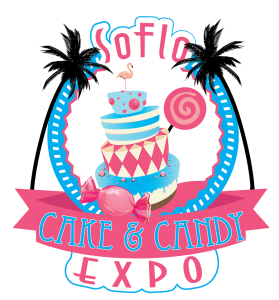 Pre-order your KC Bakes' stands today - and pick them up from our booth at SoFlo! Select desired Quantity per size of stand & complete billing information. You will receive a PayPal invoice to purchase the pre-order within 24 hours. We will accept pre-orders until Thursday, March 19th, 2015. Invoices must be paid by 6:00pm EST on 3/5 to guarantee your order. Fine Print: Quantities are limited. Pre-orders will be filled on a "first paid, first filled" basis. Submitting a pre-order form does not guarantee your order; the PayPal invoice must be paid in full.